Wednesday, March 16, 2016 – Veterans Visiting Veterans said farewell to Air Force Veteran George Zdanoff at his funeral service in Naples, Florida. 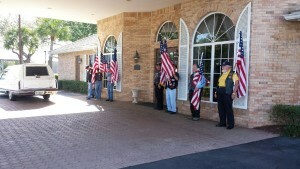 The Patriot Riders stood guard to honor George and the Military Honors were performed by an Air Force Honor Guard. 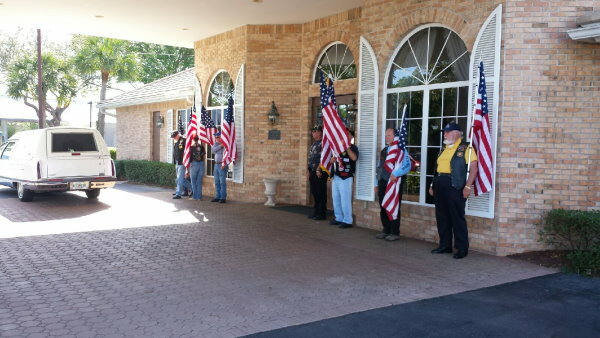 Other attendees present in honor of George were representatives from the Wounded Warrior Anglers in Cape Coral, Florida, and U.S. Congressman Curt Clawson’s office. Curt Clawson worked tirelessly with Wendy Boaz-Hayes to obtain the medals George earned which were 70 years overdue in being presented. 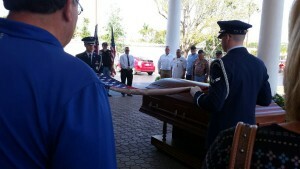 George will be missed by the many friends who attended today’s funeral services. 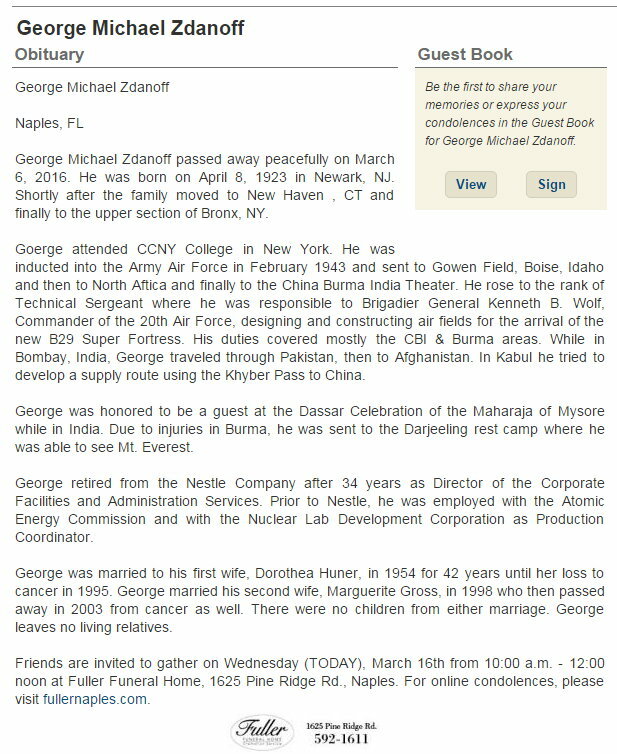 Rest in Peace George, and Godspeed. Know A Veteran That Needs An Outstanding Care Manager?